At Kingsville I caught a glimpse of our army. Longstreet’s corps going west. God bless the gallant fellows. Not one man intoxicated – not one rude word did I hear. It was a strange sight – miles, apparently, of platform cars – soldiers rolled in their blankets, lying in rows,heads and all covered, fast asleep. In their gray blankets, packed in regular order, they looked like swathed mummies. One man near where I sat was writing on his knee. He used his cap for a desk, and he was seated on a rail. I watched him, wondering to whom that letter was to go. Home, no doubt – sore hearts for him there! “These must be citizens, not soldiers. They do not make way for ladies.” With what alacrity and smiling faces they moved aside. On September 5, 1863, Jefferson Davis and Robert E. Lee granted General James Longstreet’s request to take his First Corps from the Army of Northern Virginia. Then the logistics began. Southern railroads did not connect well. Some had different gauge tracks. 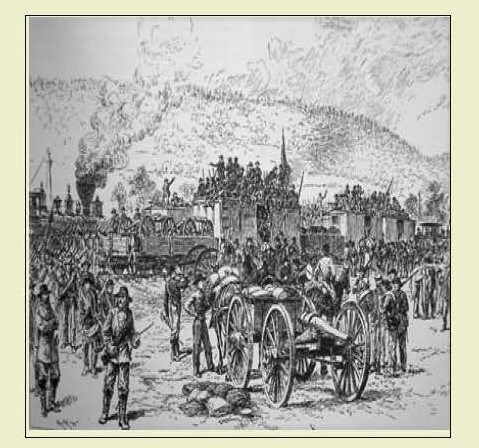 Others only ran to certain points and then troops had to march short distances to the next railroad line. 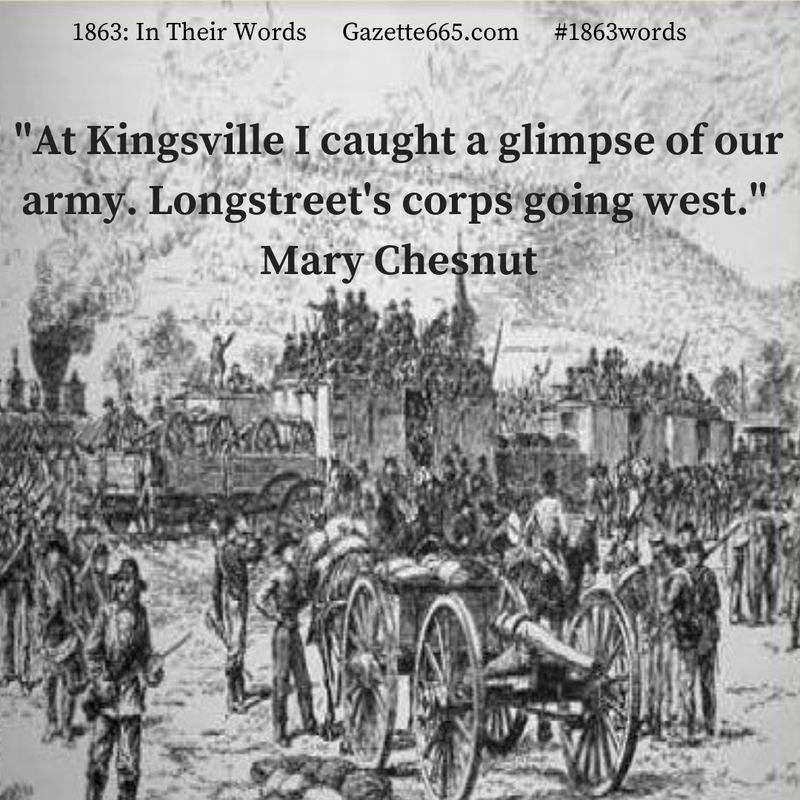 In the end, Longstreet’s men rode sixteen different railroads before they joined the Army of Tennessee. By September 17, the advance units had arrived from Virginia, just in time to take part in the Battle of Chickamauga (September 18-20) which we’ll discuss in detail next week. Diarist Mary Chesnut wrote about the boys on the railroad cars and platforms as if she already knew they would die. After her experiences in Richmond and in the third year of the war, she had seen too many casualties and too many broken families. Longstreet’s men would fight at the Battle of Chickamauga, along with Braxton Bragg’s soldiers. For the Confederates, casualties losses would reach approximately 18,500 dead, wounded, or missing. The casualties from this battle were about 5,000 less than the estimated Confederate casualties at Gettysburg. 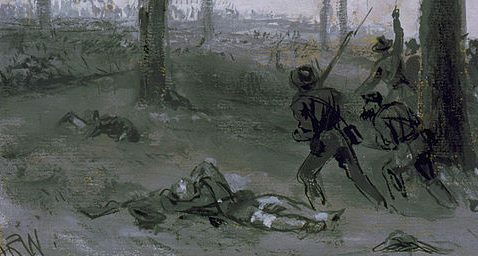 Roughly one of every three Confederates at the coming battle would be dead, wounded, or missing when the fight ended. Though Mrs. Chesnut certainly could not foresee the future, her gut-sinking feeling about the next battle would be tragically correct. 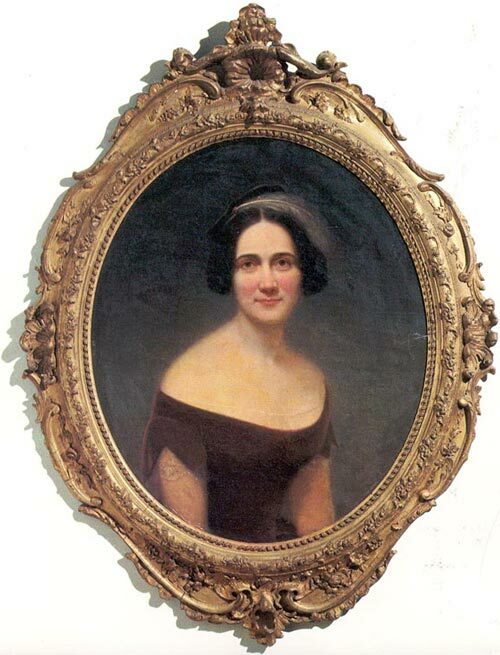 In this portion of her famous diary, Mary Chesnut paints a clear image of the scene. The part that really stands out to me is the description of the soldier writing while he waits. It’s easy to picture, and her own thoughts about the scene are particularly moving. Rabbit-trailing from the source, one starts to wonder about the man’s name, his unit, and his fate. Did that letter ever get sent or delivered? It wasn’t uncommon to find written and unsent letters in camps or with casualties – letters that never made it home. Since there wasn’t a camera to record the scene, I think we’re lucky to have Mrs. Chesnut’s observations to help us “see” from a civilian bystander’s perspective this transfer of troops from the east to the south and western theater.